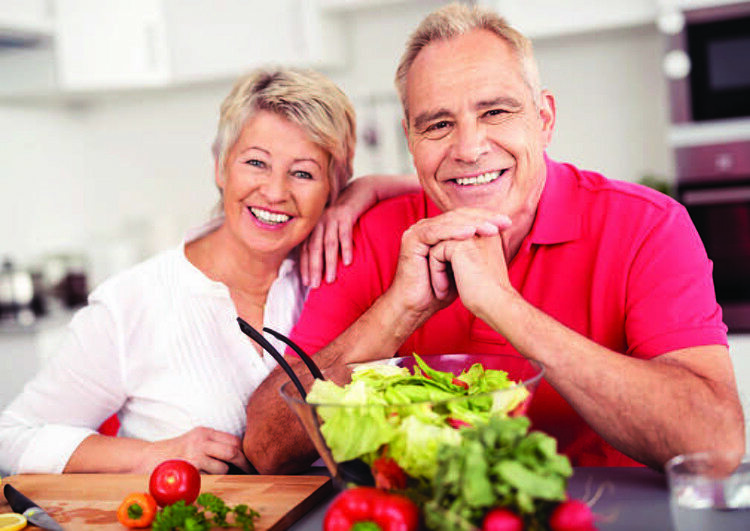 Healthy aging for your patients begins with helping them reduce chronic inflammation in the body and brain. As a day-to-day practicing chiropractor, you aren’t working in a laboratory, so you may care less about the scientific explanation of how something works or should work; rather, you want to know if it will consistently help your patients. As a case in point, take a look at how you can reverse or stabilize chronic inflammation, specifically of the central nervous system (CNS). Although inflammation is the foundation of all chronic degenerative diseases such as atherosclerosis, cancer, diabetes, arthritis, and dementia, this article will focus on inflammation in the CNS and the brain. First, and foremost, if the body is subluxated, the floodgates are open for all the damaging effects of inflammation to grow and flourish. Adjust and fix the subluxations first. Chronic inflammation causes increased injury to cerebral blood vessels and brain cells. Causes of this chronic inflammation are a lifetime of poor dietary choices or abnormal genetic responses to certain foods. Omega-6 processed oils and vegetable oils. These are ubiquitous in almost all processed foods and are the basis of the inflammatory time bomb that are trans-fatty acids. Processed grains, wheat, and gluten. Most people respond inflammatorily to processed grains and gluten. A certain group of genetically sensitive people will develop celiac disease, an inflammatory disease of the intestines, but many with adaptive sensitivities to gluten can show inflammation anywhere in the body—including the brain. Mass produced grain-fed animal products including fast-food hamburgers, grocery store chicken, pork, beef, and even fish. Farm- raised fish are potent inflammatory factors as well as commercial dairy and eggs. Refined carbohydrates and sugar, such as donuts, cakes, pies, cookies, soda, and high fructose corn syrup. As people age, they tend to cook fewer meals at home and are more likely to eat in restaurants and buy premade grocery store products. This greatly increases the average intake of inflammatory foods and leads to potential issues with mental impairment. Many of the medications plied on the elderly population have an inflammatory rebound effect on the CNS, too. This can cause brain cell death and the accumulation of cellular debris, which is associated with senility. Also, the brain requires a high level of energy to perform its array of functions. Furthermore, approximately 95 percent of cellular energy production occurs in the mitochondria. But cholesterol-lowering statin drugs block the function of the most powerful mitochondrial energizer, coenzyme Q10 (CoQ10). Other inflammatory factors people are exposed to are toxic metals and chemicals. When the immune system is challenged by all these inflammatory factors, bacteria, viruses, yeast, and parasites can come in the backdoor and cause inflammatory chaos. The accumulated effects of a lifetime of exposure to inflammatory factors such as a poor diet, smoking, drinking, and physical, chemical, and emotional stress all add to the chronic inflammation of the CNS and brain. To stop premature brain aging and disease, a good first step is to identify inflammatory food. Some of the most inflammatory foods, as mentioned above, are omega-6 oils, trans-fatty acids, processed grains and gluten, mass-produced grain-fed animal products, and high glycemic refined carbohydrates. If you have not used diet modification or nutritional supplementation in your practice and are just starting to counsel patients on restricting inflammatory food and drink, you will discover you have found a wonder cure. These things play a part in all chronic-pain syndromes. If the patient is sophisticated in their health solutions then you can go into more complex hydration strategies, but for the average patient, advise them to get a reverse osmosis unit, divide their body weight in pounds by two, and drink that number of ounces of water a day (not to exceed 100 ounces daily). Water is anti-inflammatory and reduces pain to the joints and muscles. Clean water can virtually be a medicine without side effects. Consider that 75 percent of Americans are clinically dehydrated, and nearly 40 percent of have a thirst mechanism so weak it is mistaken for hunger. Lack of water is the No. 1 cause of daytime fatigue. A drop of 2 percent in body water can cause brain fog, fuzzy, or shortened memory, and trouble with focus and concentration. Proper hydration is essential to proper brain function and control of brain inflammation. A large percentage of your elderly patients will be loaded with toxic metals and chemicals. There are some products on the market that can accomplish detoxification and prevent inflammatory damage to the brain and reverse preexisting damage. Helps remove oxidative iron from the brain to reduce free radical damage. Reduced neural toxicity and inhibited production of the brain enzyme acetylcholinesterase, which contributes to memory loss and decreased learning ability. Increased neural regeneration and neural plasticity in the hippocampus (the region of the brain chiefly involved in Alzheimer’s disease). Optimized cognitive performance translating into better learning, memory, and overall cognitive abilities. Additional support can be offered by resveratrol, a powerful antioxidant that slows brain-aging and increases circulation to the brain. DHA, as found in fish oil, is a superstar for correcting “disconnect syndrome” and degenerative brain aging. CoQ10 enhances neural cellular energetic response; alpha-lipoic acid reduces neurotoxicity, which causes brain cell degeneration and inflammation; and phosphotidylserine (PS) improves mood, memory, and motivation after 30 days of supplementation. There are reports of PS helping age- related declines in memory, learning, verbal skills, and concentration. When we are talking about healthy aging, specifically healthy brain-aging, it is essential to address the inflammatory factors in a patient’s life. “It’s the inflammation, stupid,” is an excellent place to start. Michael E. Whitman, DC, FACACN, is vice president, clinical researcher, and product formulator for Brain Brilliance. He wrote the initial nutritional section for the Indiana Chiropractic Board of Licensing Examiners, and authored Progressive Path of Natural Health Care. He can be contacted through brainbrillianceinc.com.